Republican Sen. Jeff Flake Tuesday slammed President Donald Trump's Helsinki summit performance with Vladimir Putin as "shameful" and "confused,” calling it a "mistake" for him to meet privately with the Russian president. "If that is what victory looks like, as the White House said, I think we'd all like to know what failure looks like in a summit performance," the Arizona senator said in an interview with ABC News chief anchor George Stephanopoulos on "Good Morning America." Sen. Jeff Flake appears on "Good Morning America," July 17, 2018. "That was a big mistake to meet alone," Flake said. "If the president is as confused as he seems to be in terms of our relationship [with the Russians] and in terms with what the Russians are capable of, to meet privately with Vladimir Putin is just wrong. So, I'm very concerned. I think that our allies are most concerned, particularly those that border right on Russia." Trump played into the hands of the Russian rhetoric that NATO is weak, leaving U.S. allies with the impression of "the U.S. being a non-dependable ally for NATO," Flake said. 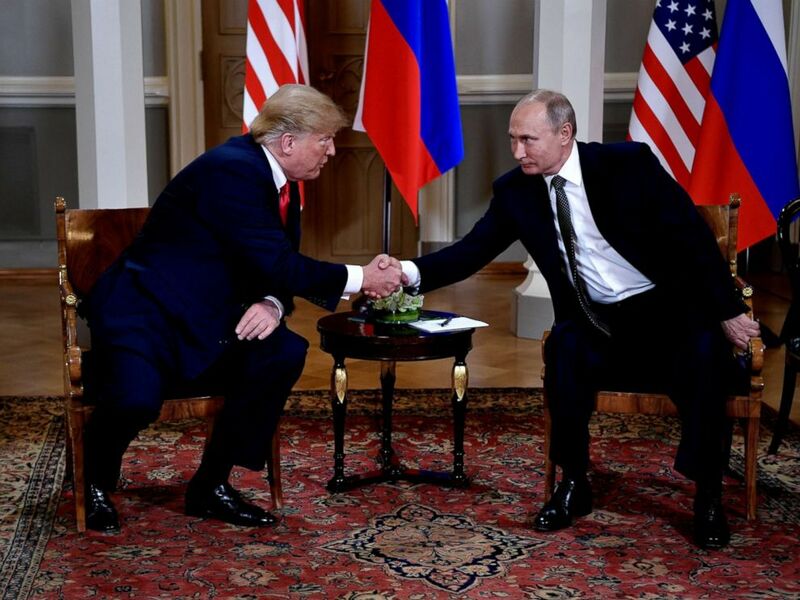 President Donald Trump and Russian President Vladimir Putin shake hands during their one-to-one meeting at the Presidential Palace in Helsinki, Finland, July 16, 2018. "Then to have that kind of rhetoric from the president just plays so well into that; it's got to be unnerving for them," Flake said of allied countries. 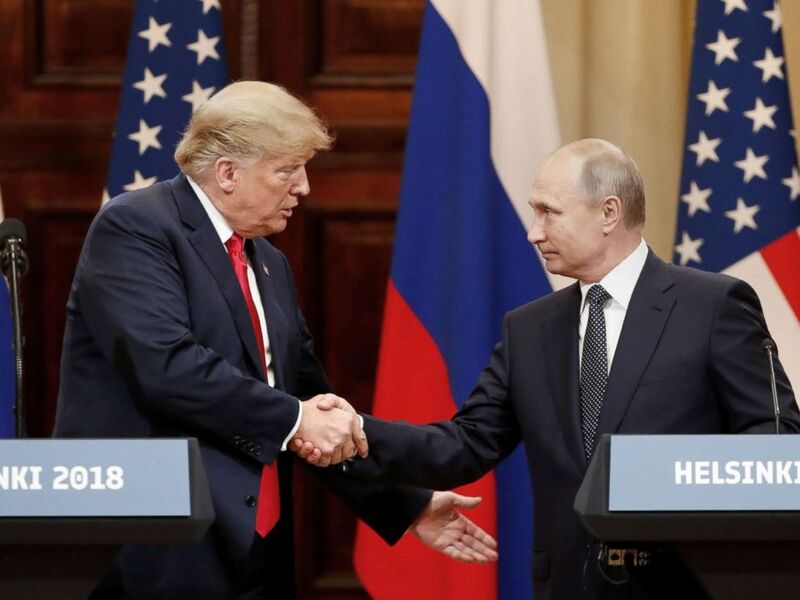 During a joint news conference with Putin after their private meeting, Trump hedged on whether he agrees with the U.S. intelligence community on its conclusion that the Russian government interfered with the 2016 presidential election. "I have president Putin, he just said it's not Russia. I will say this, I don't see any reason why it would be," Trump said. The comment came just days after special counsel Robert Mueller indicted 12 Russian intelligence agent on allegations of meddling in the 2016 election that propelled Trump to the White House. The president's statements also set off a firestorm in Washington, stoking criticism from prominent members of Trump's own party. President Donald Trump and Russian President Vladimir Putin shake hands as they hold a joint news conference after their meeting in Helsinki, Finland July 16, 2018. Sen. Marco Rubio, R-Fla., said Trump's performance in Helsinki was a major setback in the fight against Russian interference in elections around the world. Sen. John McCain, R-Aria., described the Trump-Putin summit as "one of the most disgraceful performances by an American president in memory." The Republican head of the U.S. Senate Foreign Relations Committee, Bob Corker of Tennesee, said, “the president’s comments made us look as a nation more like a pushover." Flake said the Senate should require Trump's national security team come to Capitol Hill and provide details on the summit, including what was said in the private meeting between Trump and Putin. "I think immediately the Senate ought to pass a resolution stating our support of the [U.S.] intelligence community and that we do believe them," Flake said. "We don't believe the denials coming out of Vladimir Putin's mouth." Lawmakers should also consider ramping up sanctions against Russia and demand that Russia extradite the 12 intelligence agents indicted by Mueller, he added. 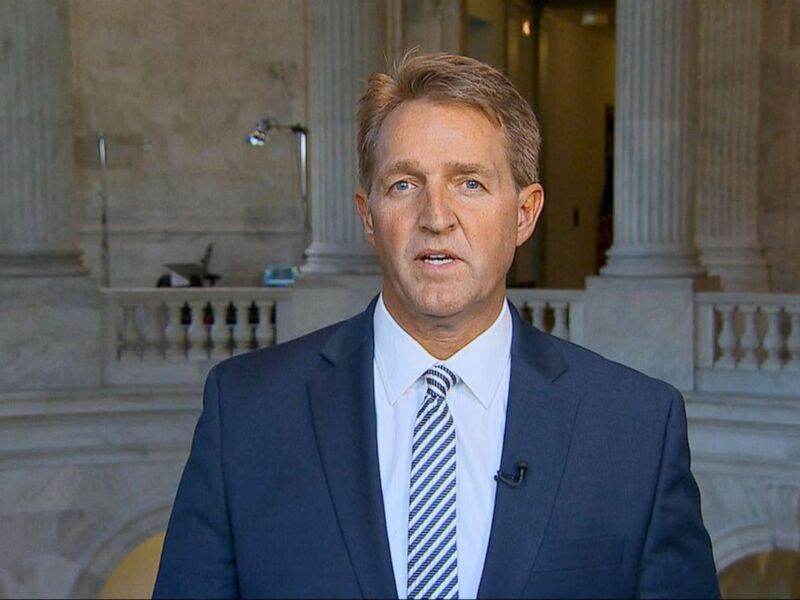 Asked by Stephanopoulos whether he believes Putin has compromising information on Trump, Flake said, "I have a hard time believing that."